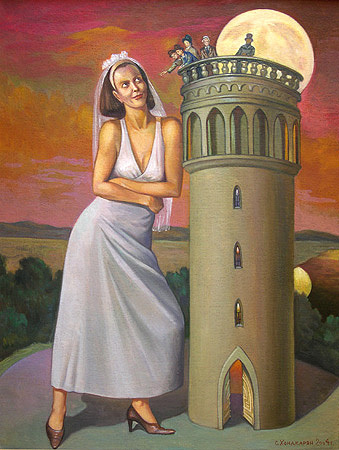 "Big bride" from the "The full moon" series artist - Suren Hondkarian. 2004, oil painting: oil, canvas paste on cardboard by glue, 61x80 cm (24 "x31 1/2"). This painting was presented on art exhibitions.